Optimism in the field of customization lies with the ‘Substratum themes,’ and there’s certainly no doubt about it. The Projekt Development Team basically develops Substratum theme engine, and the popular CM1 themes came holding its hands. Since Substratum provides some amazing tools, you do not need to go for a theme pack elsewhere. With the plethora of choices, the Substratum themes are flooding the Play store and if you are looking forward to offer a different look to your android device, go for these! How to install Substratum themes? Before proceeding any further, we would like to introduce “Substratum themes” before you, about what you shall know even more thoroughly in the rest of this piece. Happy reading! Well, since the time CM theme engine discontinued, the developers brought Substratum into the stream and today, it is regarded as the best theme engine with a rich collection of beautiful themes in its wallet. 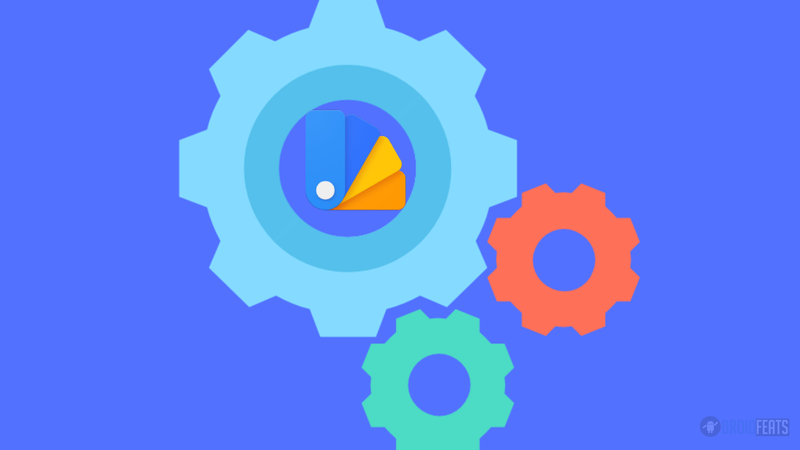 Substratum Themes support the Samsung touch wiz without root and AOSP-based custom ROM. Besides, it is potent of customizing any Stock Android and Custom ROMs as well! All the credit goes to the passionate community that has helped Substratum bang on to the stage. To simplify things in an even better way, Substratum is primarily an application that you can easily download from the Play Store. One can easily fetch all the themes right from there! Interested in using Substratum Themes on your Android device? Well, you need to install substratum theme engine. Coalfield is primarily designed for CM (CyanogenMod) Theme engine. However, with the users’ demand, the developers made it available for Substratum too. You can easily download the free substratum app and apply this theme to your Android. Yet, you would require rooting your device in that case. If you prefer the stock experience of your Android device, this could be the one for you! Being available in dark blue, light blue, cyan, green (3 variants), pink, purple, lime, orange, red, white, yellow. You would get them in different light, dark shades along with black and semi-transparent background colors. At GitHub, you would get the Default dark Theme source code. AospUI Gray substratum theme goes perfectly with the User Interface that Google made for Android M 2nd preview and Android N. You need to require rooting your device to use this theme except on Oreo, Samsung Touchwiz Nougat/Oreo system and on OMS rootless. This theme features a hexagonal design with a bluish-greyish back tone. Besides, you can customize it with any color of your choice. The theme also comes with its own Font Pack, Boot Animations, and a Sound Pack from Portal. Greyce comes with a bluish tint with a grey backdrop. The system UI is painted in dark grey, thus, offering an out of the box appearance to your Android. The Outline theme is one of the most popular Substratum Themes. It allows the users to choose five different colours. In case you are looking for some additional colours, you would have to install Color Extension. It gives a totally fresh look to your device. If you are looking for a light yet sophisticated theme, Reverie is the one for you. It has got unique system icons, though you need to root your device to apply this theme. This makes your device appear neat and stunning. All thanks to the developers for giving us such a 100 % self-made theme with special looks! It is one of the simplest substratum themes that are available in bright hues, thus, making your Android device a real work of art. It comes with a dark tone, thus, giving a retro feel to your Android device! It is one of the most customizable themes in the whole pack with a lot of options available together in this single color screen. Once you get to taste the settings and features of this theme, you would surely start loving it! Flux theme with its circular design is known to be more eye-catching. The iconography of this theme and high-quality vector graphics blended in a dark tone User Interface makes this a popular choice. The theme is apparently vibrant with some cool combinations such as options to pick a boot animation, a font of your preference and prospects of altering colors. It is a dark shaded theme offering a complete futuristic look to your device. The developers of this theme seem to have considered every minute detail of the device’s appearance, thus, giving it an alluring look. Just as the name goes, the Android O theme is based on Android next OS, i.e., Android O. It is an elegant theme with clean fonts and simple accents. This theme replicates the complete appearance of the Windows Upcoming version, thus, coming up with new wallpapers and stock sounds along with Google apps and the system UI. If you are in love with simplicity, this is going to be a must try! This theme is typically making the users crazy, particularly the ones who are fond of the black hue. If you are one among them, this is certainly the one for you! PitchBlack is the one who prefers vibrant themes, yet a balance of minimalism and materialism blended together. Well, it comes with different other colour combinations, giving an option to the users wherein they can customize the overall theme as per their own wish! Some of its features include two boot animations, navigation bar overlays, fonts, and network indicators. With OLED/AMOLED display, it works amazingly in saving a bit of battery juice, thus, being one of the best black themes available so far! The iconography of this theme makes it so famous. With a clean and minimalistic outlook and faded progress bar, this light tone Belo theme is simply awesome! As the title of this theme goes, it is a transparent theme that makes your ROM applications transparent. Since you get the privilege to choose a wallpaper to set as a background, each and every wallpaper that you set is apparently a new theme! S8 Navbar theme brings the Samsung Galaxy S8 Navigation bar feel onto any Android device. There are basically two types of iconography available, the Normal and small-sized navigation bar icons, you need to pick anyone from them. ‘Streamline,’ as the name goes, this theme is basically based on lines. The iconography is designed within a mesh, though it has got a clean and minimalistic outlook. Indeed, it has got a good rating on the Play store. It is one of the best themes, particularly popular among users who prefer light themes. However, the darker User Interface of this theme makes it appear eye-appealing! It is good to go substratum theme for Android Oreo or Nougat. If you are using ProjectFi, make sure that you do not apply status bar icons overlay. Luminous substratum theme calls for a Nougat ROM that is capable of supporting OSM/Substratum Theming. This theme is typically based on the default AOSP dark material colors. A user can configure it in different variants, depending on his or her taste and preference. It is regarded as the successor theme of the Default Dark theme series for the newer Android versions, the ones that are starting with Android 9. Run Substratum app, wherein you need to allow the SuperSU permission as well as allow Modify system settings. Next, click on the theme (big button in the Substratum app) and wait for it to recreate caches. Once done, click on it once more. Now, select all the overlays. Choose the options based on your Android, Settings, and SystemUI. Finally, press the fab button (the one with a big round button with a brush icon). Last but not least, Restart the SystemUI from Substratum app as per your requirement. With immense popularity, these Substratum themes are supposed to be your next hit! Mentioned above is a list of Substratum themes, choose any of them and see how it works for you! They are available at absolutely free of cost, so you need not worry about spending a single buck! Thanks for reading, we hope it was helpful! Keep sharing!